Halloween isn’t over yet– there are goodies coming your way! It’s time for Village Green Network’s Fall into Health e-Bundle multi-media sale! 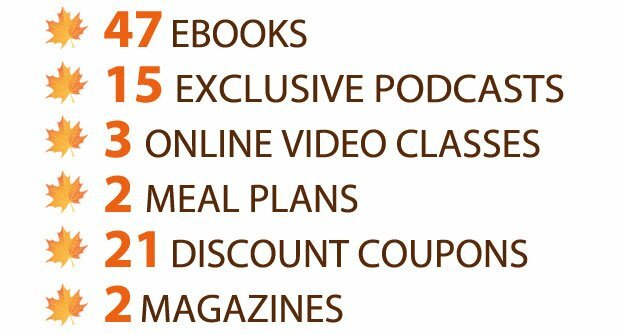 Hold the phone: Do you want to get the following e-books, video classes, meal plans and podcasts for ONLY $39? Download all of them NOW for this LOW price and read them at your leisure — on your Kindle, iPad, iPhone or computer. Total Retail Value – Over $2,000! ALL THIS FOR ONLY $39! 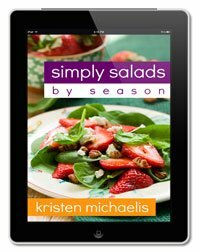 Now is your chance to take advantage of incredible savings on books about nutrition, real food and healthy living! This week only– November 1 til 7– you can get for only $39. Many of my colleagues have contributed books to the bundle. 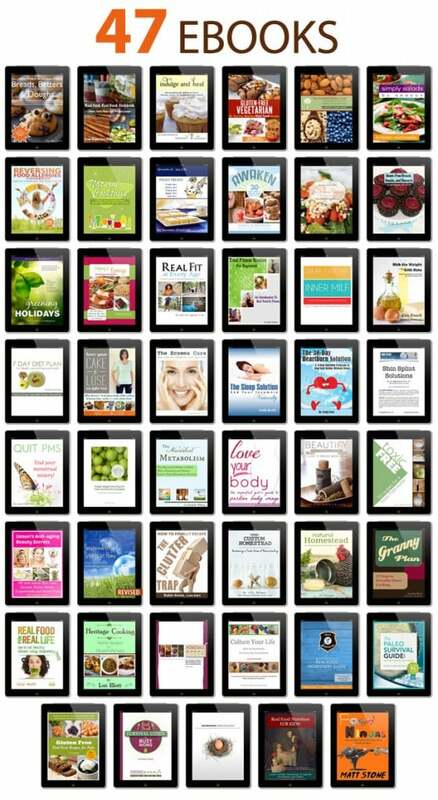 This week only you’ll get 47 e-books — a $985 value — for only $39! 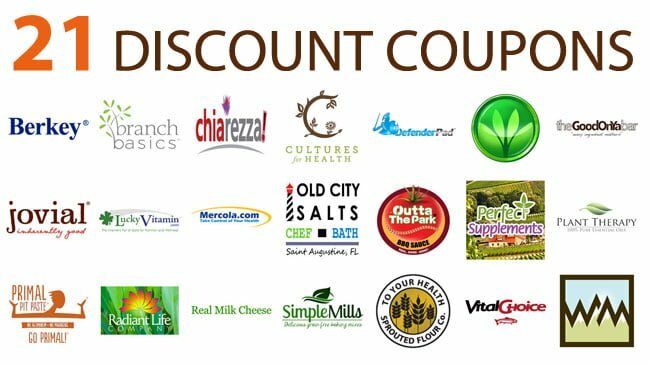 Included in this huge discount is an entire library containing a wealth of information on real food, grain & gluten free recipes, how to reverse food allergies naturally, and even how to make your own natural cocktails. 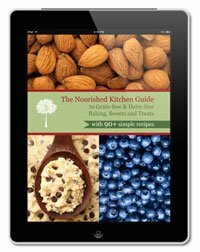 Gluten-free Vegetarian– This beautifully laid out book was written by my friend Healy Real Food Vegetarian and includes gluten, dairy and soy free vegetarian recipes. 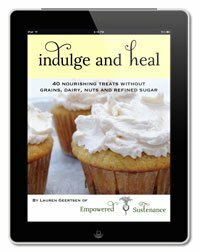 Indulge and Heal– my colleague Empowered Sustenance includes delicious grain free nourishing treats. 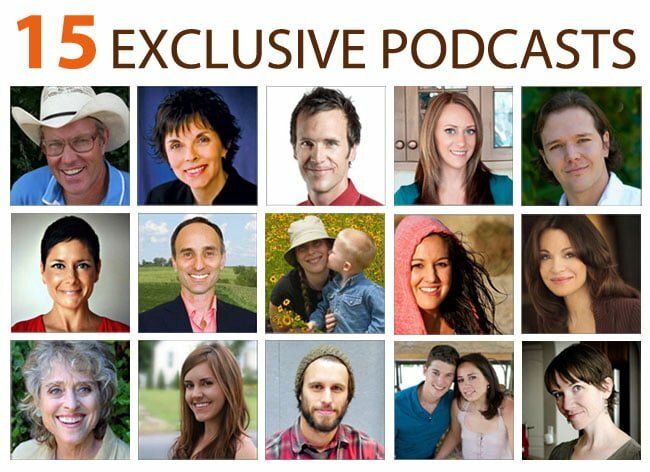 Reversing Food Allergies Cookbook–Cheeseslave tells us how to reverse food allergies! 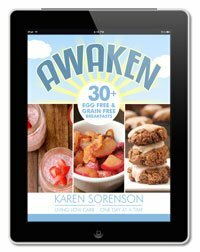 Awaken: 30+ Egg-Free & Grain-Free Breakfasts–my buddy Living Low Carb One Day at a Time offer us tons of egg-free recipes, perfect for those on an auto-immune plan or for those with egg allergies. Do you want to cure heartburn naturally? 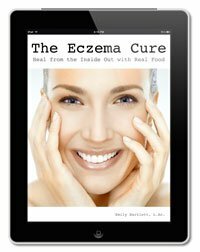 Cure your eczema with whole foods? Get a better night’s sleep? Boost your metabolism– by eating more? 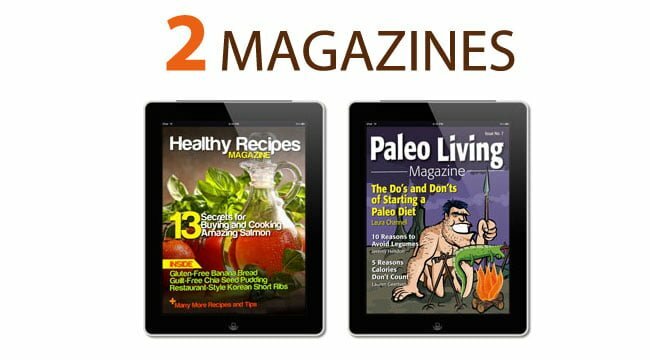 You’ll get eight books by real food experrts, nutritionists, and holistic health practitioners to help you get healthier. 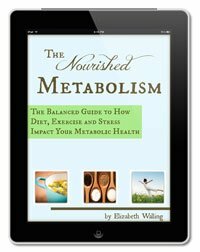 My ebook, 3 Weeks to Vitality, in included in the bundle too! Also included are holiday & gift books and DIY/craft books! Click here to see the full list and to download. Do you want to learn how to make your own non-toxic bodycare and cleaning products? Make holiday gifts for your family and friends on the cheap? Are you into sustainability and green living? Want to learn more about homesteading? You’ll get ’em all in the bundle! 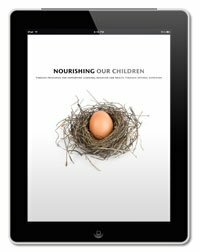 Books on feeding children? 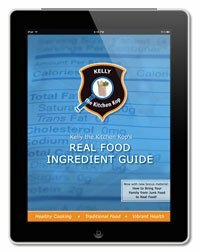 Learning to live the real foods lifestyle? Yep. SALE ENDS Thursday, November 7 2013 at midnight Pacific time, so don’t miss out. You get $2000 worth of valuable material for only $39. Click here for more details and to download all these goodies. Hurry! You only have until November 7 until this deal is gone forever.